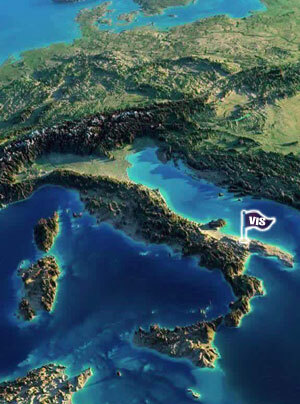 The 16th Annual Value Investing Seminar, Italy will bring together investors from around the world to share their experience, knowledge, and best investment ideas on Thursday and Friday, July 11-12, 2019. 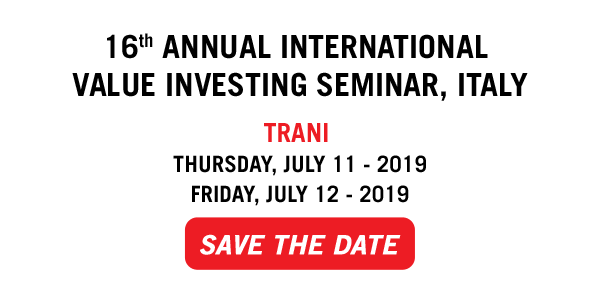 The event is hosted by Ciccio Azzollini, Co-founder and CIO of 3IP SGR s.p.a, an alternative investment fund focused on “IHQ” Italia High Quality Businesses, and Whitney Tilson, the founder of Kase Capital and Kase Learning in New York City. Founded in 2004 and inspired by the timeless principles of Warren Buffett and Charlie Munger, this intensive two-day seminar is the first of its kind in Europe. It’s a place where likeminded value investors can develop their worldly wisdom, learn to be better investors, get high-potential, actionable investment ideas, and build valuable business and personal relationships, which are the foundation upon which opportunities are built. Everyone is a participant who is there to learn and gets the opportunity to give a talk even if it is not mandatory. Each have 10 minutes to share their latest thinking on where the best opportunities lie, outline their current favorite investment idea(s), teach lessons learned from a mistake, recommend the best book they’ve read recently, and take questions from the audience. The Value Investing Seminar is the first International Value Investing Conference ever organized in Europe and has become a business meeting-ups for great investors and great capital allocators from around the world. The seminar takes place in gorgeous, charming, historic Trani, on the shores of the Adriatic and famous for its magnificent cathedral. 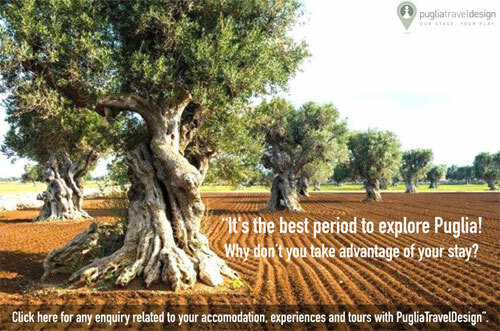 Its restaurants and beaches are unparalleled and it’s only 30 minutes from the international airport in Bari (BRI). The attendance is limited to max 60 persons so you may reserve your seats starting from today before they sell out! Registrations will be closed at 60 registrants.